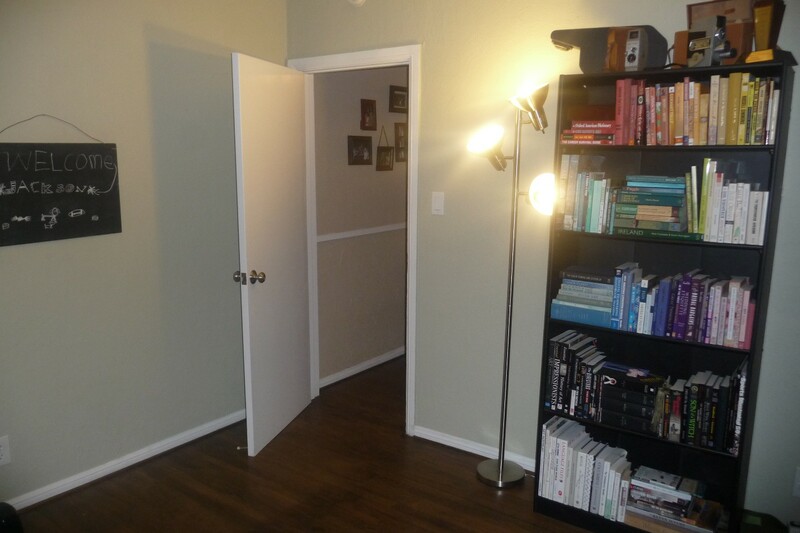 Oh, by the way, the application says to focus on one room, but I think they might do more than that, as they asked for measurements for all the bedrooms and the living/dining room. They definitely don’t do kitchens or bathrooms, which stinks because we could really use some help there, but I am not complaining!!! I’m over the moon to just have real nightstands in our bedroom! 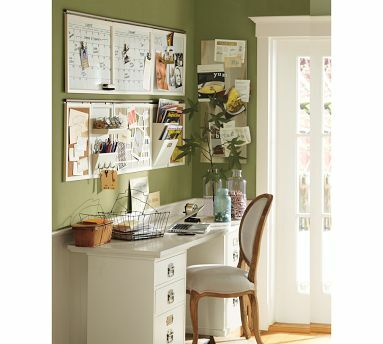 I love the sage green paint color and big desk. 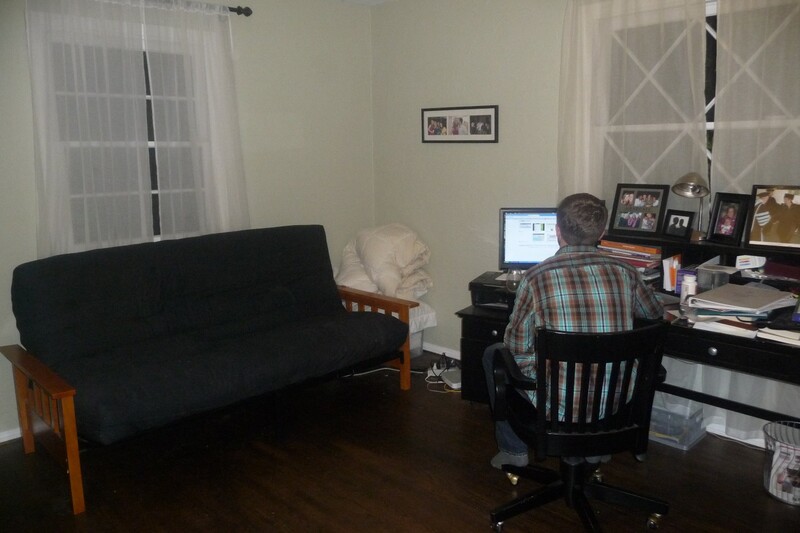 I also love that there is room for a guest to sleep, though I hate that futon with a passion. We need curtains that provide more privacy. The ones we have now are decent, but they are completely sheer. If someone sleeps in this room, they have to change in the bathroom and wake up to sunlight streaming through the windows. 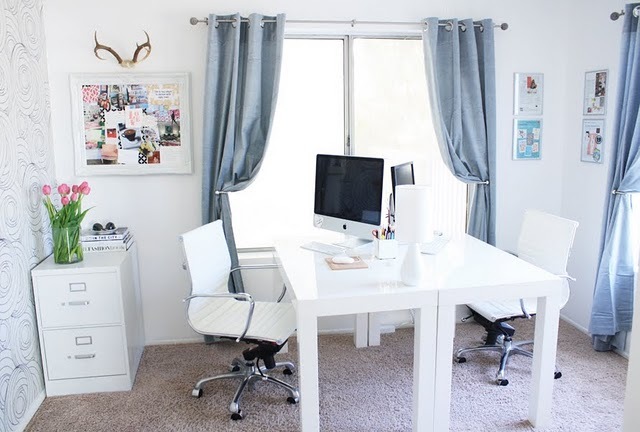 I also love how this desk from made by girl comes out from the wall with two chairs on either side. This way there is space for more than one person at the desk, and also room for me to spread out my fabric when I sew. Right now I sew on the dining room table. I really want a wall of built-ins. 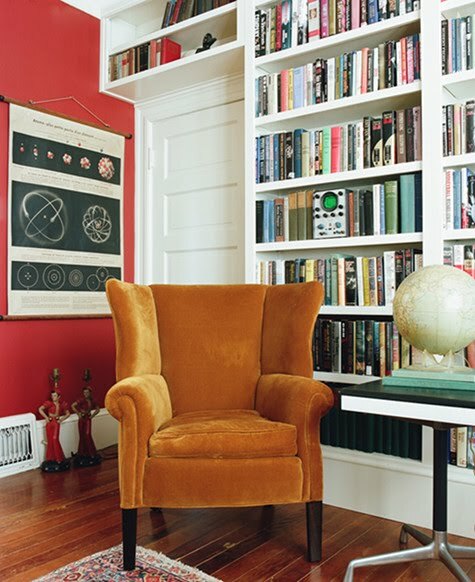 I love the library look in this room from design sponge. I have coveted these organization systems from pottery barn forever. I love having a place for everything, even if everything is not always in its place. This twist on the typical memo board is so fresh and unique. I’d also love that laptop in my new office! Hold the cat. We like dogs, not cats. Once we trash that horrible futon, I love to have something like this daybed from west elm (via design sponge). I like how it functions as a couch, but the bed part is flat, not folded like a futon. It would be even better if it could accommodate a full sized mattress. They say the reality is never as good as the fantasy, but I have a feeling in this case it would be quite the opposite. Next up: Design Fantasy: Guestroom. Built-ins: big thumbs up. 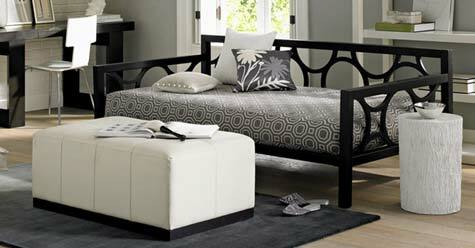 That daybed: LOVE IT! 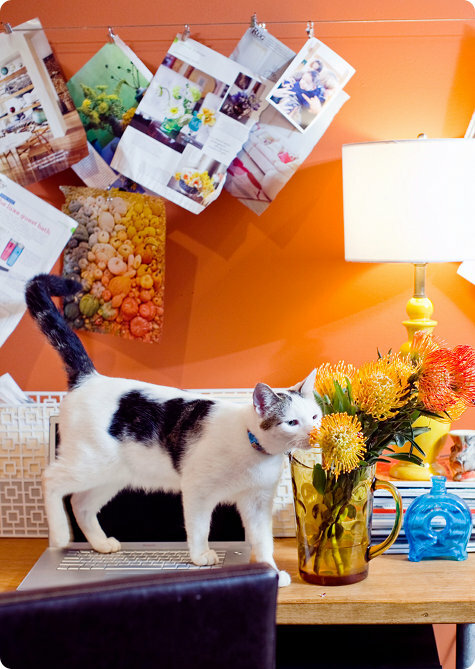 Not liking cats: shame on you (unless you're allergic). I love the first inspiration image. Normally I'm a bold color girl, but the soft colors and lovely texture is beautiful. I hope you get on the show! Very nice! I like your taste!! I would love for someone to redecorate our house. I'm so excited for you! !